Next time I should probably specify the Whelps or whatever is the summoning from the card and what the Cost is, thanks anyway! 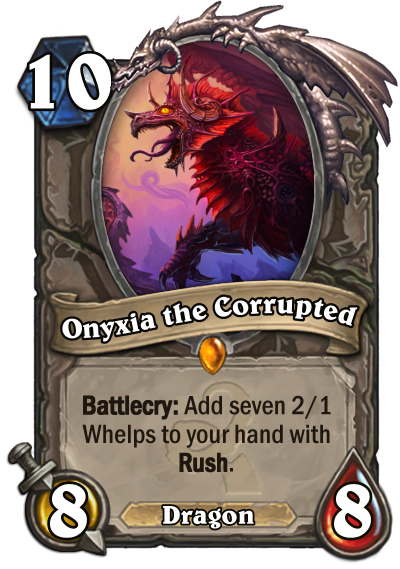 Although you can keep one of the Whelps in-hand for Dragon synergies, however your hand would have to be very empty to get the Whelps without overdrawing. I feel like it should specify the cost in the card text. "Battlecry: Add seven 2/1 Whelps with Rush to your hand. They cost (1). Also why has no one mentioned that this is practically powercreep on Halazzi? I assume the whelps cost 1?